An Agora is an educational tool that uses the Scout Method to reach the educational objectives for the Rover age section and that has a special emphasis on youth empowerment. What makes an Agora so special is that it is an event run “for Rovers, by Rovers”. As a result, the event looks at issues that are of importance and relevant to young people in our society today. An Agora aims to be a meeting place in which dreams, feelings, concerns, experiences, ideas and paths cross together, are connected and shared; a crossroad that would be a source of inspiration and energy. It is a place where the fundamentals of Scouting are present in a way that is attractive to young people today. It is a place for debate and sharing as well as teaching and learning from one another. And most importantly, an Agora is about getting new motivation and direction to one’s path as a rover. The first European event by Rovers for Rovers was organised in 2007, as a follow-up of the Roverway in Italy and was named, appropriately, Dare to Dream (the theme of Roverway 2006 was “Dare to Share”). After this first experiment, the aims and methods of the new event were defined and the first official edition of a European Agora was organised in 2008, at Kandersteg International Scout Centre, under the theme “Life Skills”. The coordinator of the 1st Agora was Juho Toivola (FI). The 2009 edition of Agora was organised under the coordination of Caterina Inverno Sousa (PT), still at Kandersteg, with the theme “Creating… Yourself… Your team… The world”. The 2010 edition was lead by Giedre Markuckaite (LT) and had the theme “Kander-Rock”. This edition was, obviously, hosted by Kandersteg International Scout Centre. The 2011 edition, organised at KISC, under the theme “Alias Rover” was coordinated by Rita Santos (PT) and it was also known as the “volcano edition”, many participants having to overcome serious challenges getting to and from Switzerland due to the eruption in Iceland. 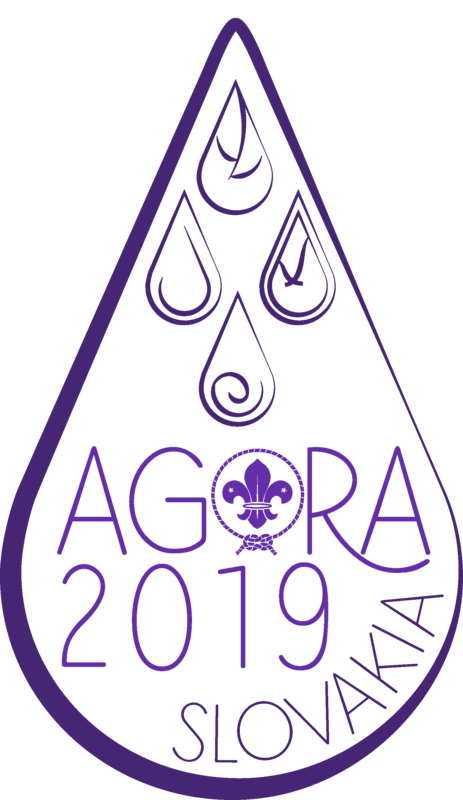 The 2012 edition of Agora was the only one (to date) which was “inter-regional”, with participation from other WOSM Regions. The theme was “Youth Participation: Today not tomorrow” and it was organised under the coordination of Vincent Perraud (FR). Agora 2013 – “Reaching Out” was the last edition to be held in Kandersteg. Ciara (IE) was the Planning Team coordinator for this edition. The 2014 edition was the first one to be held somewhere else than Kandersteg International Scout Centre. And what venue more appropriate for a European event, than Strasbourg? The theme of the event was “Participation+” and the team leader was Maire Fitzgerald (IE). The 2015 edition, held in Jambville, France had as a main focus “Skills for Life” and was lead by Cristi Stavarache (RO). Agora 2016 took place in Guadarrama, Spain under the coordination of Sofía Galán (ES). “Colour your world”, a post apocalyptic scenario where rovers needed to design their perfect society. The 2017 edition, “How far are you willing to go?” took place in Delft, The Netherlands, where Rovers experienced travels back and forth in time to explore how it was and how Rovering can be. The team was lead by Sarah Moinet (FR). The Agora is a an event with a unique atmosphere, due to the common age and interest of its participants. The networks and relations developed during the Agora were proven to last for many, many years and quite a few of them led to useful and relevant partnerships between associations, supported by the growing community of Agorians on social media.